Someone finally made a Safari Extension for managing browsing sessions. 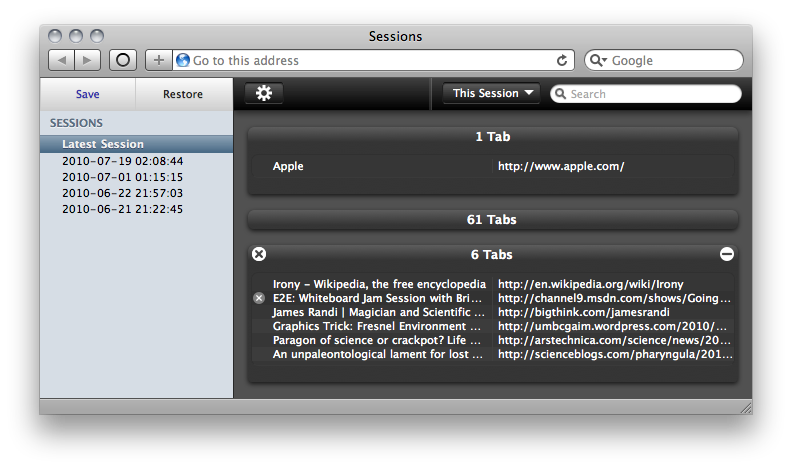 The extension is named “Sessions” and is very similar to Session Manager for Firefox. 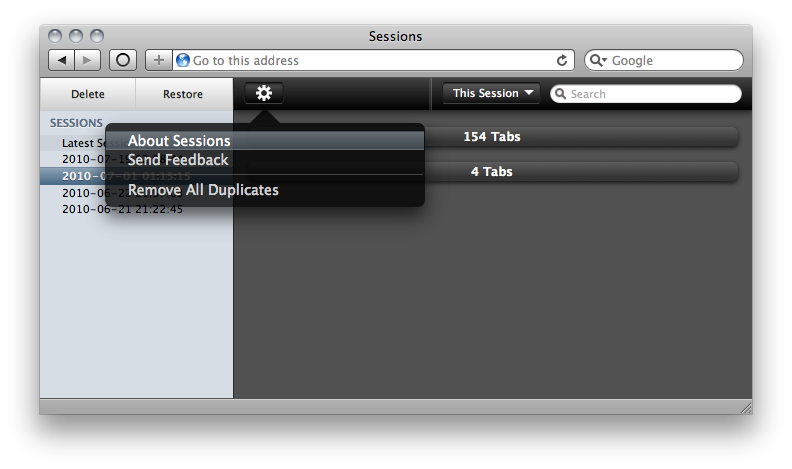 Download and install the extension from Sessions’ website then you can view, save, restore your sessions (windows and tabs). 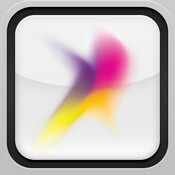 This extension freezes Safari when using Glims. It’s lovely, but Â I need one which allows you to name the Sessions.